1960 Tempo Hanseat - Call it TEMPOrary insanity. Back on November 10, I featured a Tempo Matador. On November 15, Bring A Trailer featured a Mercedes 206D Camper. That was a Mercedes badged Tempo. (Daimler-Benz owned Tempo at that point.) Now this pops up on eBay. 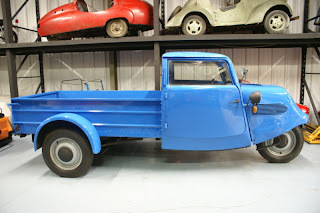 The Hanseat was a 3 wheeled truck. They were available with a variety of bodies ranging from delivery vans to pick ups like this one. They also used a variety of engines, usually of the 2 stroke variety and usually putting out somewhere between 12 and 15 HP. They were very popular in Europe for awhile. This one is located in Madison, GA. Click here to see the eBay listing. 1993 Mitsuoka Viewt - The Japanese love these retro looking cars. 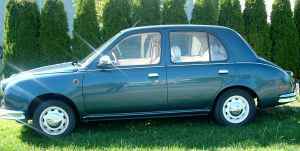 This is a Nissan March, a car not sold here in the US, modified by Mitsuoka to look something like a Jaguar MkII. The March is a micro car, so this essentially looks like a Jaguar MkII that was left in the dryer for too long. The Viewt was available with 1.1 and 1.3 liter engines. The seller doesn't say what's in this. He does mention that it has a CVT transmission and gets around 38 MPG. Being 17 years old, it's perfectly legal in Canada, but not here in the US. You can find the Mitsuoka website here. This is probably a very cool site if you read Japanese. I don't, but I still found the pictures cool to look at. 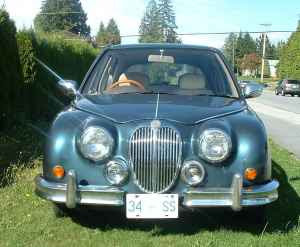 Located in Burnaby, Canada, click here to see the Craigslist ad. 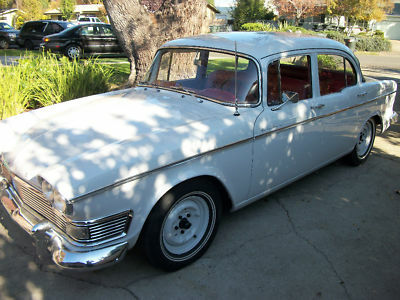 1961 Humber Super Snipe - This was Rootes Group's luxury car. Like most British luxury cars, the interior was loaded with leather and wood and there were little picnic tables in the back. It was comfortable and luxurious. Even before Chrysler had an ownership stake in it, Rootes took a lot of styling cues from American car companies. The Super Snipe would have looked right at home in an American car showroom. This Humber has been restored. At first glance the asking price seems to be on the high side. But, if you think about what it would cost to find a Super Snipe, source the parts and then complete the restoration, the price starts to look very reasonable. Located in North Highlands, CA, click here to see the eBay listing. 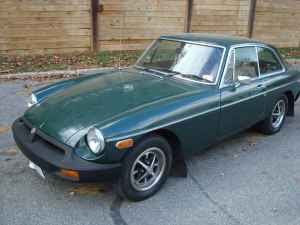 If you want an MGB GT you could commute to work in, take to the mall, etc., one with rubber bumpers is not a bad choice. This car needs a little body work, but nothing too serious. The picture above is the only one the seller includes in his ad. Located in Glen Burnie, MD, click here to see the Criagslist ad. That's an interesting mix of cars there, from a three-wheeled truck to a car named "Super Snipe". That's a great name for a vehicle, by the way.